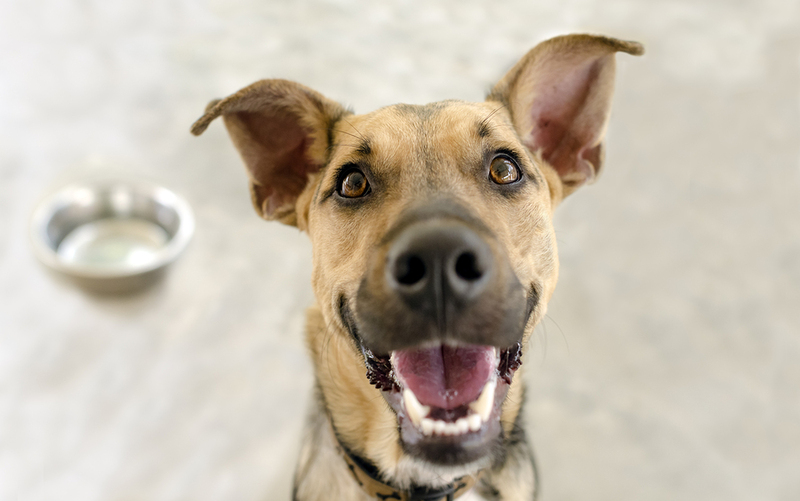 Getting a treat is quite possibly your dog’s favourite part of their day, (aside from perhaps playtime and naps) and treats can be used for a variety of different reasons. From positive reinforcement when learning new tricks and behaviours, to helping them take medications or supplements, to creating that ever-so-special bond between you and your furry friend, giving your dog something special can be a healthy day to day occurrence that you and your dog can look forward to. It’s interesting how many dog owners spend their time researching and purchasing Premium or Super Premium dog food and then forget that choosing treats for their dog should take the same amount of effort. Different types and brands are abundant on the shelves and not all treats are created equal, however. Providing your dog with anything but premium and super premium dog treats – those made with only natural and organic ingredients – can be the difference between a healthy and unhealthy life for your dog, and choosing the best treats out there is important. Many of us don’t realise what a difference natural dog treats can make in your dog’s daily life, but making the switch from non-natural and non-organic dog treats will provide improvements not only internally, but physically as well. Chemical humectants – such as propylene glycol, (antifreeze chemical), which is used to keep the treats moist and chewy, and prevent discolouration. All of these ingredients are not only unnecessary for your dog – they are totally avoidable and some of these ingredients, (such as the chemical humectants), have safer, healthier alternatives which are found in organic and natural premium and super premium dog treats. Because ingredients found in natural and organic ones are all natural, they provide all the nutrients your furry friend needs to be a healthy and happy addition to your family. They also don’t include and unsavoury by-products. The ingredients found in natural and organic brands like Ziwi Peak air dried treats include real human grade meat without the nasty preservatives we don’t want to feed to our dogs. This means they’ll be less likely to develop rashes, lesions, or sores from chemical allergies caused by many standard dog treats, causing their skin to be healthier, and their fur to reach its beautiful potential. Because natural and organic dog treats are great sources of protein and healthy nutrients for your dog, they’ll be receiving only the highest quality in nutrition. This allows them to eat only what they need, keeping them at a healthy weight. Standard dog treats contain ingredients which are not natural, (as you have read up the page), so your dog is more likely to have an allergic reaction to them. With natural and organic ones however, these ingredients are not included, reducing your dog’s overall allergy responses. When choosing something natural and organic, you can be sure they contain superior sources of proteins and grains, and lack chemicals that can disrupt your dog’s natural digestive system. Because natural treats don’t contain bulky fillers, they are easier to digest, and allow your dog to eat only what they need to maintain healthy energy levels. Although the natural choices are always better for your dog, beware! There are some commonly sold so called natural treats that are generally not packaged and therefor not labelled showing their ingredients or origin. So just check that you are not feeding your dog preservatives and chemicals that may harm your dog. For instance, one thing that most dog owners are not aware of is that many of the dried animal ‘sticks’ or ‘ears’ etc. available are preserved with the sorts of things that most loving dog owners would rather not feed their dogs, no matter how much their dogs would love to eat them. In conclusion, no matter what type or brand you choose to purchase, your dog will benefit from you staying away from supermarket stocked treats of any kind and looking for premium and super premium packaged options that are natural and made by reputable brands you can trust like Ziwi Peak, Ivory Coat or Greenies.– If you would like to see a great choice of great natural treats that you can trust for your dog, then try looking here. This entry was posted in Health, Treats and tagged Canidae, Ivory Coat, Kong, Meals For Mutts, Ziwipeak.